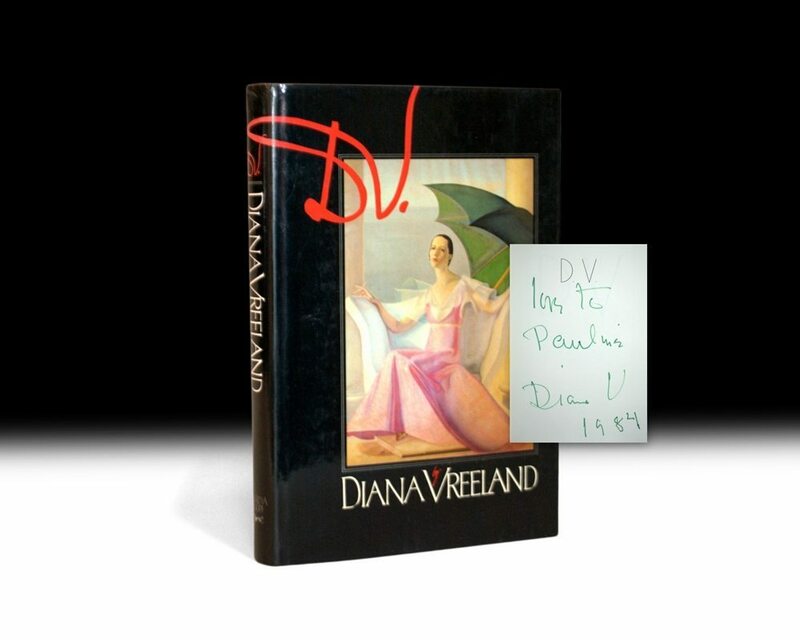 First edition of Diana Vreeland’s autobiography. Octavo, original cloth. 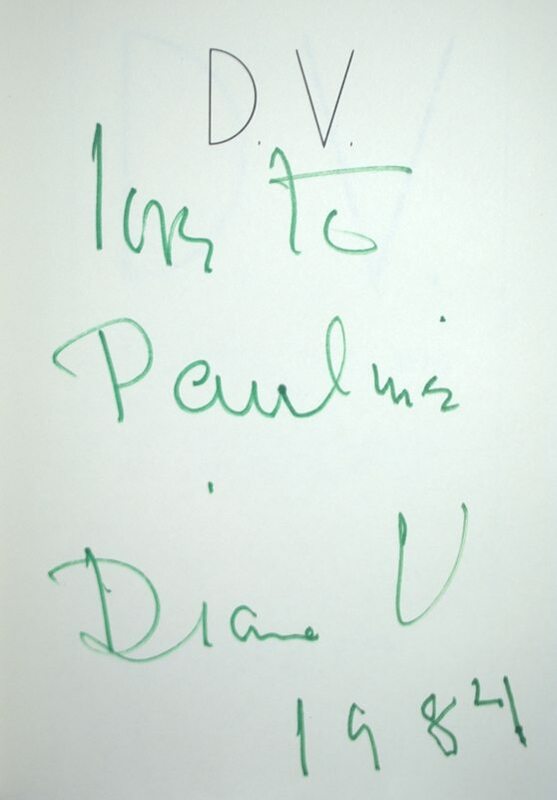 Presentation copy, inscribed in the year of publication by the author, “Love to Pauline Diane V 1984.” Fine in a fine dust jacket. D.V. is the mesmerizing autobiography of one of the 20th centurys greatest fashion icons, Diana Vreeland, the one-time fashion editor of Harpers Bazaar and editor-in-chief of Vogue, whose incomparable style-sense, genius, and flair helped define the world of haute couture for fifty years. The incomparable D.V. proves herself a brilliant raconteur as she carries the reader along on her whirlwind lifefrom English palaces to the nightclubs of Paris in the 1930s to the heart of New York high society, hobnobbing with everyone who was anyone, from Queen Mary to Clark Gable to Coco Chanel. "An evening with D.V. is almost as marvelous as an evening with D.V. [herself]same magic, same spontaneity and, above all, never a boring moment" (Bill Blass).